Next time someone asks me for honeymoon ideas err— in terms of where to go, that is—I would wholeheartedly recommend Campania. We love to eat and gossip. The traffic is unpredictable and erratic. The food and the people are warm and wholesome. At Salerno, my proprietor’s mother Mama Manzo decided I looked famished enough to shower on me everything she had in her kitchen. What a sumptuous meal I had every day! That is one thing you gotta love about Italy. They will love you if you eat and feed you till tears run down your face. Mangia, Mangia. You must have landed in Rome ? Take a train and go to Naples. Our first destination is Salerno, but we do need to tick Naples off the list. Italy’s third largest city, Naples, is the capital of the Campania region. Most trains from Rome stop at Naples and then move on to Salerno. I did not enjoy Naples much and would advise no more than 3-4 hours here if you are short on time overall. Here’s 48 hours in Naples itinerary, if you plan to spend longer. Having ticked Naples off your list, let’s now move on to the more interesting part. If you still want to make Sorrento your base, read how to plan here. Salerno is located in the south of Italy, on the Gulf of the Tyrrhenian Sea, close to the Amalfi Coast. 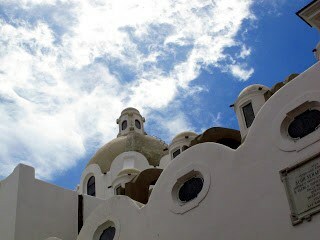 The city dates back to pre-historic times and used to be an important and strategic port on the Mediterranean sea. It houses Schola Medica Salernitana, supposedly the first medical school in the world, and also the beautiful 11th century Salerno Cathedral. Duomo di Salerno or the Salerno Cathedral is beautiful and majestic. Built in the 11th century, it is dedicated to Saint Matthew. Free entry. Visiting hours here. 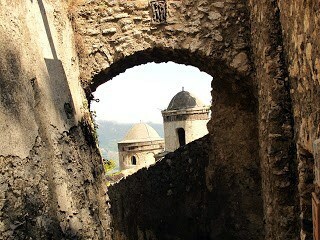 See the spectacular view of Salerno from Arechi Castle. Take bus 19 up the hill from the city and buy the return ticket beforehand at the tabacchi. Entrance is €3 (adults). Castle timings are 9 a.m. – 5 p.m (Closed on Mondays). Buses to and fro are 2 or more hours apart, so do this if you have time to spare. You can also take a cab up. Salerno Centro. Look no further. Actually, I made this cute little B&B my stop for all 4 days. But I recommend staying at Capri or Ravello/ Positano at least for one night to see the beachfront light up and not be in a hurry to return. I took an overnight Espresso train from Roma Termini to Salerno. Very safe and very basic. Trains with names like “Regionale,” “Diretto,” and “Espresso” are intended to serve every last small town with a train station and are very slow. The faster alternatives are Trenitalia and ITALO. See your options here. In a few seconds, all the Gods will hurl themselves down, together with Hermes of the powerful, bronze candlesticks, busts of the emperor, statues of the Lares, images of the Penates (Household Gods). At the end of Via Dell’Abbondanza near the fountain, men and women were rushing around confusedly gesticulating and shouting as they stared at Vesuvius. The summit had disappeared as if swallowed by the earth, and in its place rose an enormous tongue of fire. The mountain had gone mad. Pompeii used to be one of the most important cities in the Roman Empire and a popular place for Romans to live in, both rich and poor. In the summer of AD 79, the city of Pompeii was almost completely buried under lapilli (rock fragments formed by lava spray) caused by the eruption of Mount Vesuvius which killed many of the residents. You can still see casts of people killed within the ancient site, which is gory, to say the least. A combined ticket for Pompeii, Herculaneum, Oplontis, and Boscoreale costs €22.00 for an adult and is valid for one entry to each site over a period of three consecutive days (and free on first Sunday of the month, if you can time it). Along with the ticket, you also get a free map and a guidebook. I have to tell you though, the place is overwhelming in its grandeur and you might want to take an actual human guide with you (available at the entrance) to see it better. Timings: From 1st April to 31st October the site is open 9.00 – 7.30 p.m. (with last entrance at 6 pm). Other times, the site closes at 5 p.m. with last entry at 3:30 p.m. 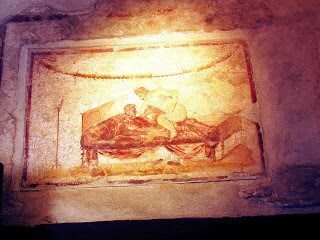 Some trivia: Pompeii’s source of prosperity was Garum, or fish sauce. Made from rotted, fermented fish guts, Pompeii served the demands of the entire Roman empire. So, you can imagine the money made. But really, more fascinating to me was seeing the vestiges of the practice of the oldest tradition in the world—the brothels at Pompeii. Tiny rooms with stone beds and lewd pictures on the walls to function as a ‘service menu’. Quite fascinating. 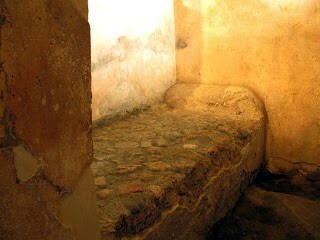 Read more on the brothels or Lupanar (Wolf Den) at Pompeii. The walk back from Pompeii Scavi to Stazione was quite painful with the sun on my face and not less than three men following me at different times, stopping by to say something in Italian and gesturing to sit with them in their car/bike. But the day ended well, back in Salerno, where I had my first taste of Limoncello, which—what can I say—is probably one of the best drinks I’ve ever had. Tad sweet sometimes, but the tangy vodka gives such a head rush. That and some nice sandwich at Macondo close to Piazza Portanova. If you have to, stay at Hotel Forum. Great value for money and right next to the ruins. Nights start at USD 70. Trains run from Solerno to Pompeii Stazione from which Pompeii Scavi or the ruins is a 20-minute walk. No need to buy tickets in advance. “There is no spot in the world with such delightful possibilities of repose as this little isle” Charles Dickens in Capri. From Salerno, take the morning ferry to Capri Islands (if it’s summertime and they are running, else take the Sitabus). The journey from Molo Manfredi dock to Capri takes about 2 hours over picturesque waters. It costs ~18 Euros one way (this may change). The ferry also stops at Amalfi and Positano. The trip along the coast is dotted with delightful little islands, colorful houses perched on top in layers that make the mountains. Travel to Capri by the waterways is the best and nicest way. The only drawback is the last time for the ferry to return from Capri is 4:30 p.m. (the last I know of), which if you’ve been to Capri, will realize is criminally short. After the ferry drops you at Marina Grande, buy another EUR 2 bus ticket to go to Capri. You can also take a funicular or walk to reach Capri. Here is a link to know how to get around in Capri. And Capri is beautiful! Narrow lanes open onto surprising expanses; a deluge of flowers flank cobbled pathways; a pristine white Duomo hovers over surrounded by hordes of designer stores, high-end spas, granita corners, and ensconced in them, Roman remains. I could spend days in its many bars and cafés, sipping sweet limoncello and spying on the holidaying glitterati walking by me. “The grapevine on the rocks, the cracks in the musk, the walls that ensnare the clinging plants, the plinth of flowers and stone: the island is the lyre that was placed on the melodious height and chord by chord played by lights since remote times its voice.” Pablo Neruda. 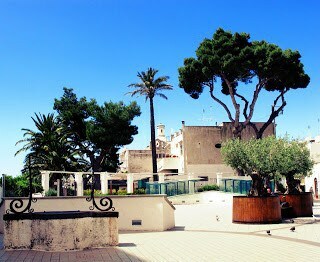 Anacapri. Pristine white sunny Christianess. Anacapri is a commune on the island of Capri, perched on top, set in largely Moorish settings, surrounded by olive groves, vineyards and garden terraces overlooking the Mediterranean. Such an island of idleness it is. So beautiful to walk around the white paved roads, full of flowers and jaw-dropping views of the sea. I had my first taste of Italian Lasagna Bolognese here. Some delicious pizza too. Capri to Anacapri is 1 hour of walking uphill. Or you can take a bus that takes 15 minutes and costs EUR 2 one way. While returning from Anacapri, take the Phoenician steps (922 steps, begins at Axel Munthe’s Villa-Villa San Michele) down to Mariane Grande. The views en route are quite spectacular. Takes 30-45 minutes but to be done only if you are fit enough. The steps are very steep. Tip: Check out the trendy Capri Watches. Staying in Capri is expensive, because of which I returned to Salerno. Overnight stay is USD 100 +. If you can spend, I wholly recommend doing an overnight stay. To Be Capri and Apollo B&B are reasonably priced options. Take the ferry from Salerno’s Molo Manfredi dock for Capri, if they are running. Or take the Sitabus. After that, take the bus, or the funicular, or simply walk. Options here. The Amalfi Coast is a 50-kilometer coastline along the south of Italy’s, in the Campania region. It’s a popular holiday destination, with sheer cliffs and a rugged shoreline dotted with small beaches and pastel-colored fishing villages. The coastal road between the port city of Salerno and clifftop Sorrento winds past grand villas, terraced vineyards, and cliffside lemon groves. (Source: Wikipedia). The coast is made up of the following towns. 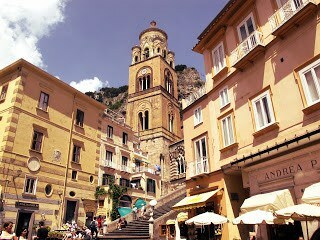 Amalfi is crowded and touristy. There are lots of knick-knacks to buy and a lovely town square with a towering church to see. But do not spend much time here, unless your goal is to people-watch. The rest—Praiano, Minori, Maiori—are quieter towns. Inhabited mostly by residents; the kinds who would not lose an opportunity to sun themselves and their kids out on a fine day. A good place to laze, sip coffee, read a book and watch the world on a sunny day. 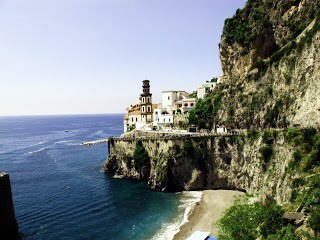 By the way, Maiori features the longest beach of the Amalfi coast. Driving from the West, Positano is the first town you’ll come across on the Amalfi Coast. After Amalfi, it is the next best-known stop along the coast. It is a postcard-perfect beach town, also expensive. Spend a few hours sipping limoncello at Ristorange Mirage or da Costantino. 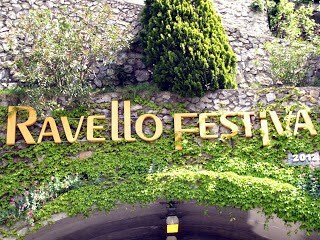 Here are three walking tours you can do in Ravello. Ravello in a day. Oh! Even as you are reading this and planning to go, I envy you. Read on the best beaches at Amalfi. The nights can be quite magical, with the flickering lights on the coast, a vast expanse of sparkling black sea and yachts dotting the far skyline. Stay at Ravello or Positano. Take a ferry from Salerno to Amalfi (if they are running, else take the sitabus). 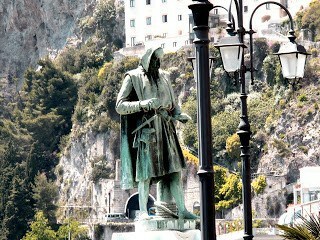 Once you reach Amalfi, take the hop-on-hop-off bus to take you to the island of your choosing. I especially loved the CD they played on the bus. The bus starts from Sorrento but stops on all the Amalfi islands. Random tip: I paid close to 16 Euros to get from the Rome’s Fiumicino Airport to Termini through the Leonardo Express which though convenient was expensive. Take the Terravision Bus for about 4-6 Euros. They have fixed timings and shuttles end at ~11 PM. Make Salerno Centro your base for the four days. Central and the best! You can do everything on my list and return to your cosy corner each night. Try it. You can also consider staying overnight in Ravello or Positano. In Ravello, recommended hotel is Villa San Michele. Spectacular views. 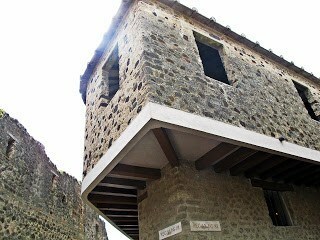 If stopping in Pompeii, choose Hotel Forum. 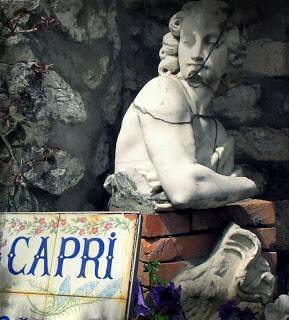 If staying in Capri, choose To Be Capri or Apollo B&B. Oh how I love Italy!! What a great guide to exploring many new parts. Naples is one of my fave places, the food is just incredible! I love this part of Italy! After reading your post, I’m aching to go back! 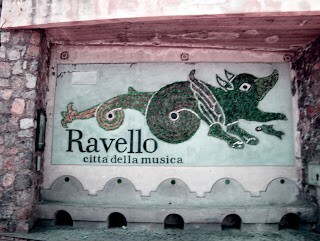 I’ll have to check out Ravello the next time I find myself there. Yes! Ravello is the absolute best.